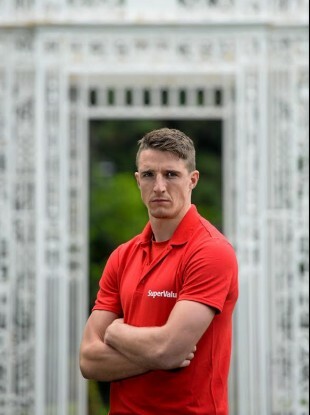 Aidan Walsh is an ambassador for SuperValu, proud sponsor of the GAA Football All Ireland Championship. ‘PLAYER BURNOUT’ IS an underlying fear that GAA boards up and down the country are finding difficult to shake off. However, as more and more teams embrace modern nutrition and training techniques, the less the problem is allowed to reveal itself. Nowhere does the issue need to be combated more than in counties with a dual presence. And in counties with aspirations of going all the way in both codes there is little room for error. “I don’t really think about it,” says Cork’s Aidan Walsh, who this year committed himself to play with Jimmy Barry-Murphy’s hurling squad on top of the football panel he has served in recent years. Yet that ‘non-thinking’ shouldn’t be viewed as blissful ignorance by Walsh. Instead, it appears to merely be a means of putting mind over matter. His actions certainly don’t match up with a man who hasn’t thought his week through to the letter. If all goes well for Cork in tomorrow’s SFC qualifier against Sligo, Walsh (and fellow dual stars Damien Cahalane and Eoin Cadogan) will be required for inter-county nine times out of 12 week during the summer. Throw in club commitments on top of that and it becomes easy to see how how an amateur athlete can become fatigued. But there’s not much that is amateurish about inter-county GAA preparation these days. “We’d do weights on Monday, train Tuesday, recovery on a Wednesday, train Thursday, recovery Friday and then Saturday or Sunday a game. To power his body into such a taxing schedule, Walsh dines on a paleo-style diet, packed with protein-rich red meat, while steering clear of gluten – especially bread. “I’d eat five times a day, then in the week of a Championship I’d try to eat at least two or three steaks every day just to fuel up. Then, I try to drink at least three litres of water every day. Perhaps many nutritionists would advise the midfielder to vary his diet more than he does and to cut back on one particular form of protein, but for now, Walsh is content with his energy source. It helps that the same kind of foresight and preparation is being put in by his respective managers, Barry-Murphy and Brian Cuthbert. Both men provide a great example of how joined-up thinking is both possible and ensures the best for a player without either camp being short-changed by a player feeling sub par. However, it’s down to Walsh himself to present himself powered up and ready to go for his many masters. SuperValu, proud sponsor of the GAA Football All Ireland Championship, are calling on fans to guess who the Mystery GAA player is using #SVwinningtaste on Twitter or Facebook for a chance to win fantastic prizes, including a VIP Trip to the All-Ireland Football Final. Email “Player burnout no problem if you 'do all the small things right'... and eat plenty of steak”. Feedback on “Player burnout no problem if you 'do all the small things right'... and eat plenty of steak”.